I am having so much fun making my own labels. 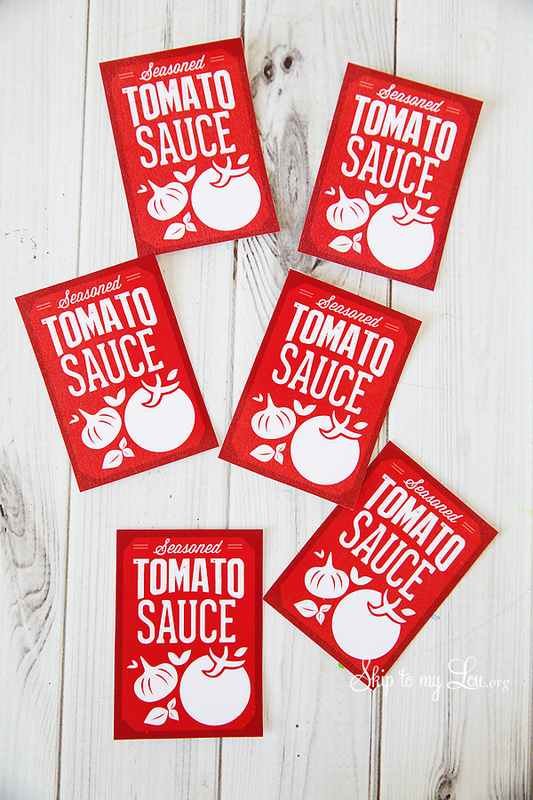 Today I am sharing these free canning labels for my homemade tomato sauce. 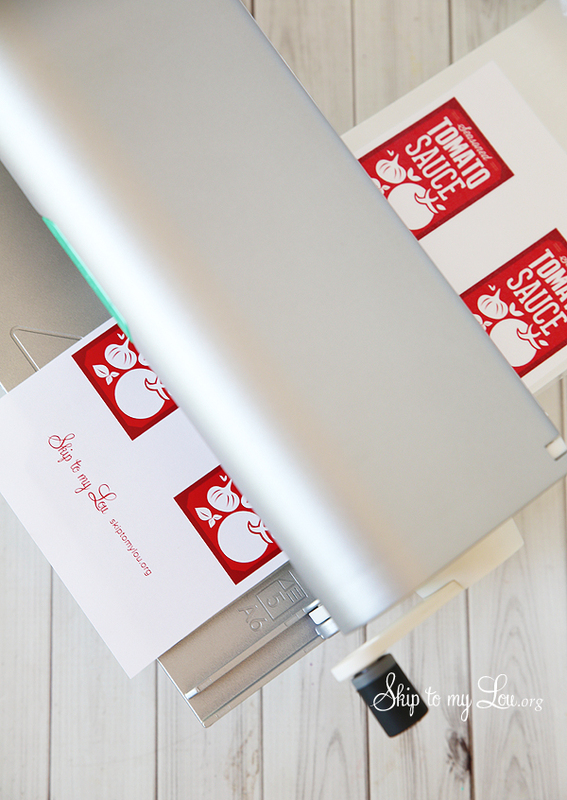 If you love labeling things and making them pretty don’t miss the cool labels for kids I shared you yesterday. One again my handy dandy machine helped me make the best labels. Look at the end of this post for a chance to win a 9in Creative Station! 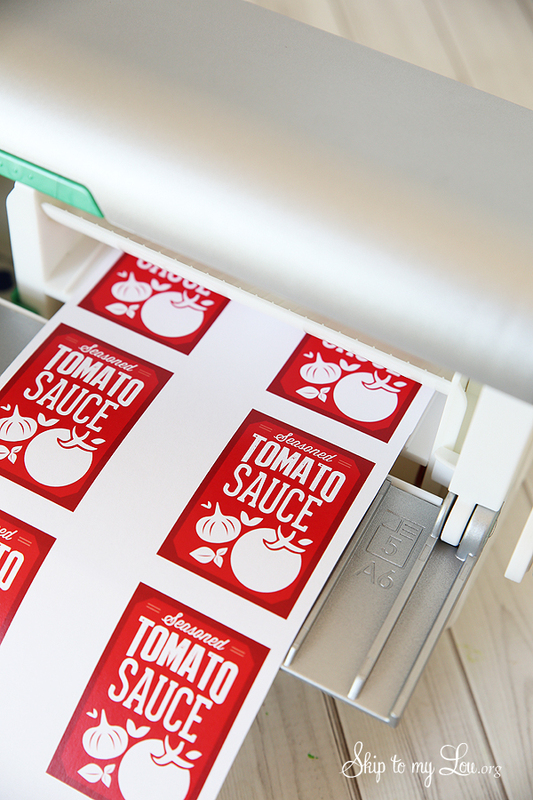 In the past I have printed my canning labels on 1-UP label paper from the copy shop. You can check out how I do this on my Homemade Apple Pie Filling. This works to make them sticky but the labels aren’t durable. Now my labels are laminated so damp hands and moisture doesn’t ruin them! Place the paper face up through the 9in Creative Station. Use the crank to send it through. It will come out perfectly laminated on the top and have a permanent sticky back. Trim the labels with scissors. 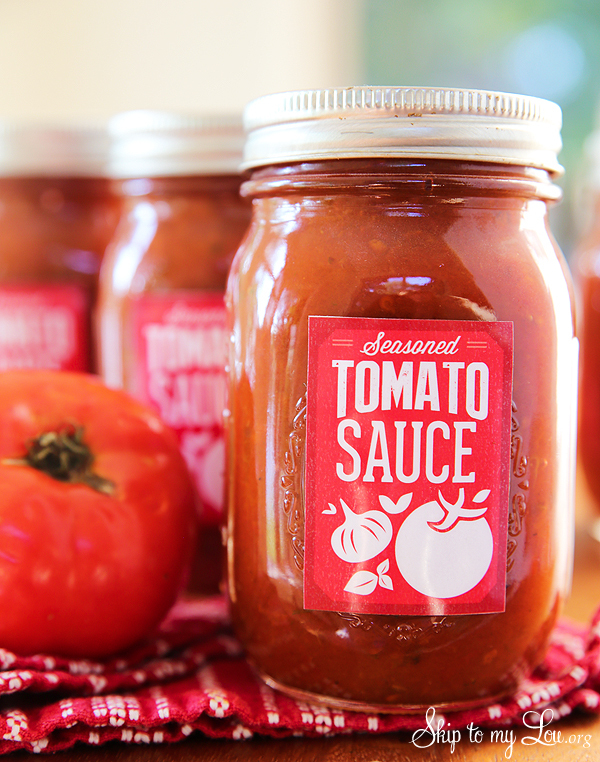 Peel off the protective back and place on the jars. 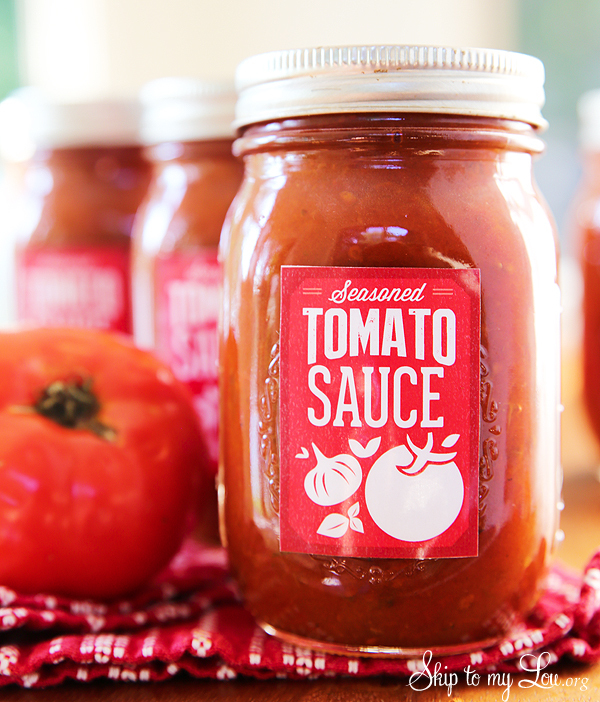 So fun to have such professional looking labels for my homemade seasoned tomato sauce! 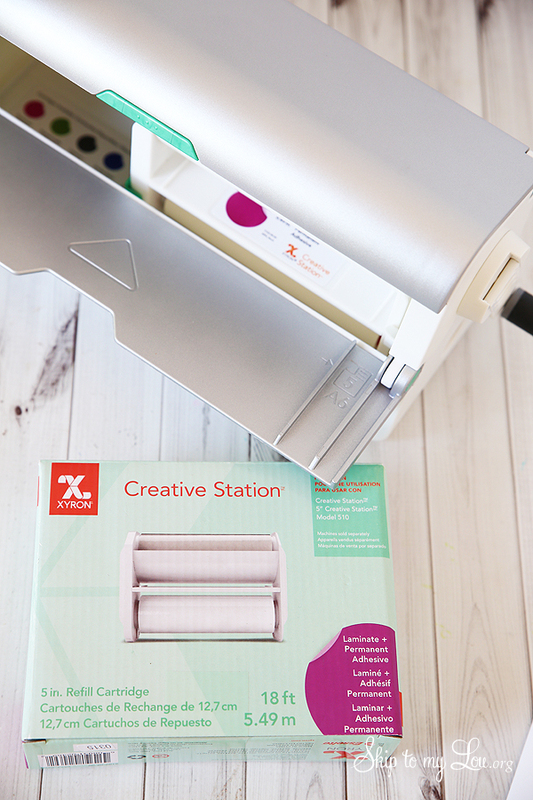 Win your own Xyron Creative Station! Simply wait for rafflecopter to load and enter there.